Melbourne’s Tinpan Orange will “lap the map’ from April as their fifth album ‘Love Is A Dog’ is released. Kasey Chambers has been announced to headline the Gympie Muster for 2016. Leo Sayer and Lulu will team up for the first time for an Australian tour in June. After postponing the Australian tour last week L7 will make good the dates for October. Macklemore & Ryan Lewis will tour Australia and New Zealand in August. Max Merritt will be slipping away to Melbourne in July and Samantha Sang will be showing some emotion when The Go Show returns for 2016. Nikki Sixx is not taking any time off after the year-plus Motley Crue farewell tour. He has just announced a new album with his group Sixx:A.M. and a nationwide tour. Amanda Pelman has put together some amazing talent including Tim Rogers, Steve Kilbey, Deborah Conway and Adalita with the Sydney Symphony Orchestra to pay tribute to David Bowie in May. Tom Petty has reformed his original band Mudcrutch for shows and a new album for 2016. In the wake of the passing of Glenn Frey and the possible end to the Eagles as an entity, Joe Walsh has decided to go out on the road with special guest Bad Company. 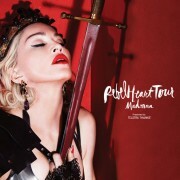 Madonna will play a one-off Australian club show at Melbourne’s Forum Theatre on March 10. John Mellencamp has abruptly cancelled his June tour of Australia. President Barack Obama will deliver a Keynote Conversation at SXSW Interactive in Austin on March 11 and the First Lady Michelle Obama will deliver the opening keynote address for SXSW Music on March 16. The SXSW Aussie BBQ, Australia's main showcase at the SXSW Music Conference, has been confirmed for March 18 in Austin, Texas. 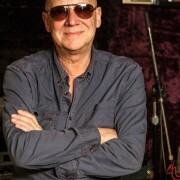 Russell Morris will head to the Americas in May but before that he has a stack of Aussie dates to play. Adele wowed fans in Belfast, Northern Ireland on Monday (29Feb16) as she kicked off her first tour in five years. The Rolling Stones are looking to add another country to the list of those they've played with a rumored date in Havana, Cuba. Police are investigating at incident at Perth's Good Life Festival on the weekend after a security guard was badly injured by a punter who went on the attack. Patrizio Buanne will return to Australia for dates in June. 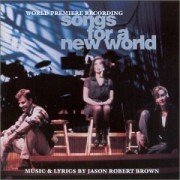 ‘Songs for a New World’, the latest musical for Helpmann winning Luke Joslin, will open in Melbourne in June. Madonna is facing a potential ban from the Philippines for allegedly "ridiculing" the country's flag during her recent concerts. Don McLean has postponed his tour of Australia, set for March, for one year in the wake of his domestic abuse arrest. Iron Maiden opened their The Book of Souls Tour on Wednesday night at the BB&T Center in Sunrise, FL with a fifteen song, 1-3/4 hour set. The friends of Spencer P. Jones will gather on April 15 2016 to help raise funds for Spencer's medical bills.